That slogan, and the All-News format as we know it today owes its beginnings to the late Stan Brooks. Stan was the News Director in 1965 when WINS parent company, Westinghouse Broadcasting, approached him about building a 24 hour news format. At that time, WINS was still a Top 40 station, trying to compete with rivals WMCA and WABC, and was the first station in New York to do ‘top 40’. The news format launched in 1966, and the rest, as they say, is history. WINS aired its Stan Brooks story all evening on December 23rd when the story broke, and all day Christmas Eve. Lee Harris anchors this report and reveals more about Stan Brooks than most people know or remember. 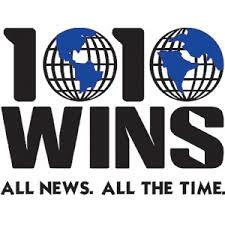 I’m a 50 year broadcaster and as a top 40 DJ in the 60’s and 70’s I clearly remember WINS going all news. “Wow”, I thought, “I’ll bet this will work!” I knew that Mr. Stan Brooks was the inventor of this format and now his legacy will live on. Sad that there will never be another because radio no longer requires thinking men like Stan Brooks. Formats and programming is done at the corporate level, talent is out the window and new ideas that cost money are no longer even considered. Thank you Stan Brooks, for your contribution to the broadcast industry. Are there anymore like you out there? Just two corrections for the above. The format change was actually in 1965 (April 19 to be exact). Kind of unusual for a station to leave the Top 40 format while Beatlemania was generating so much attention for rock music at that time. As for Rick’s point above, the creator of the all news format is believed to be Gordon McLendon who tried the format in Texas briefly in 1961. This audio is unlistenable. Is there no audible aircheck available of this very recent moment on a radio station in the nation’s number one market?